Scheda: Nazione: USA - Produzione: 20th Century Fox - Distribuzione: 20th Century Fox - Soggetto: da un romanzo di Hans Koningsberger - Sceneggiatura: Dale Wasserman - Fotografia: Edward (Ted)Scaife - Montaggio: Russell Lloyd - Scenografia: Wolf Witzemann - Costumi: Leonor Fini - Musiche: Georges Delerue - Formato: Panoramica Color DeLuxe - Durata: 90' (95'). 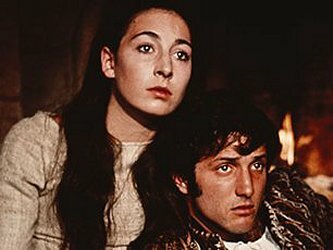 Cast: Anjelica Huston, Assi Dayan, Anthony Higgins, John Hallam, Robert Lang, Guy Deghy, Michael Gough, George Murcell, Eileen Murphy, Anthony Nicholls, Joseph O'Conor, John Huston, John Franklyn, Francis Heim, Melvyn Hayes, Barry Keegan, Nicholas Smith, Antoinette Reuss. Trama e commenti: mymovies.it - film.spettacolo.virgilio.it - cinematografo.it - cinema-tv.corriere.it - kataweb.it: «Da un romanzo di Hans Koningsberger. Durante la guerra dei Cent'anni, uno studente espulso dall'Università di Parigi per le sue idee liberali sull'amore e una nobile castellana si amano teneramente e tragicamente in mezzo alla rivolta dei contadini dell'Oise. La spinta che fece accettare a Huston di fare questo film fu duplice: il desiderio di dirigere sua figlia Angelica e l'ambizione di rivolgersi a un pubblico giovanile. 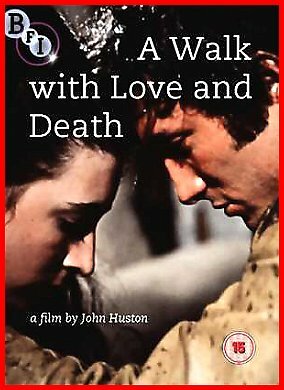 A modo suo, è un film sul '68, l'unico a tesi nell'itinerario di J. Huston. Non riuscito ma curioso». Plot Summary, Synopsis, Review: IMDb - entertainment.msn.com - tvguide.com - allmovie.com: «Heron of Foix (Assaf Dayan) hears the call of the ocean and leaves his school in Paris to walk to the sea. 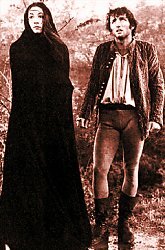 He meets the fair Claudia (Anjelica Huston) and the two fall in love and journey together to escape the ongoing Hundred Years War. 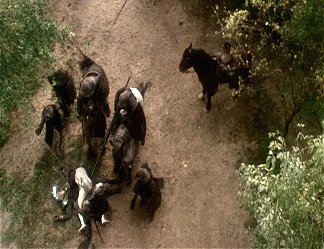 They witness the brutal and bloody murder of a peasant who is drawn and quartered by the sadistic Sir Meles (John Hallam), the unforgiving tax collector who hates the poor. 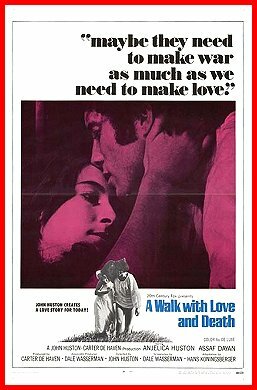 The couple seeks refuge in a monastery where the Father Superior (Anthony Nicholis) refuses their request to be married. 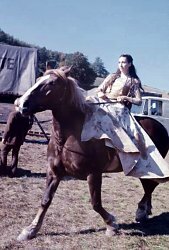 This slow-paced but beautifully lensed feature marks the screen debut for Anjelica Huston» (Dan Pavlides). Conosciuto anche con il titolo: Paseo por el amor y la muerte.